The following article, written by John Amodeo, is part of an ongoing series that focuses on a select topic of inspiration for the month. The focus for March is “Impact”. 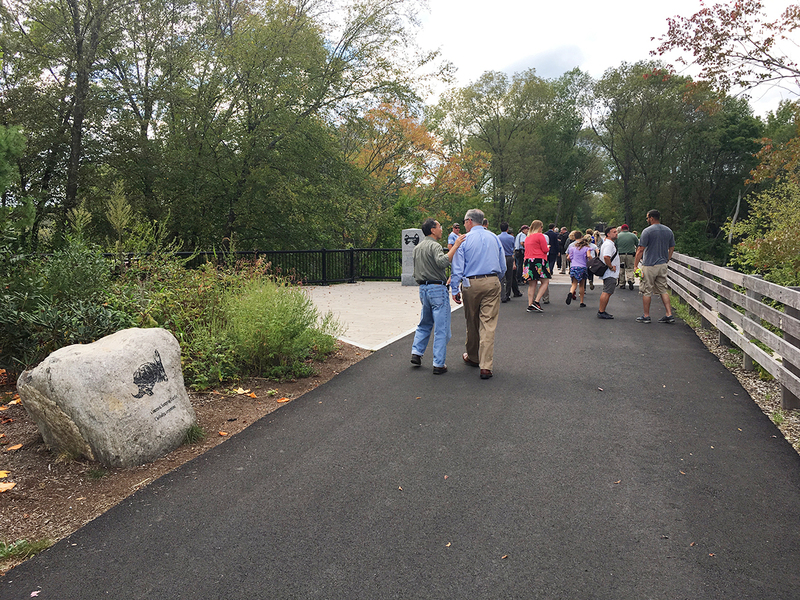 The Rails-to-Trails movement has not only created open space opportunities to connect communities with each other and with major centers of activity, but also enables users to connect with the area’s history and natural environment in very tactile ways during their daily constitutionals. 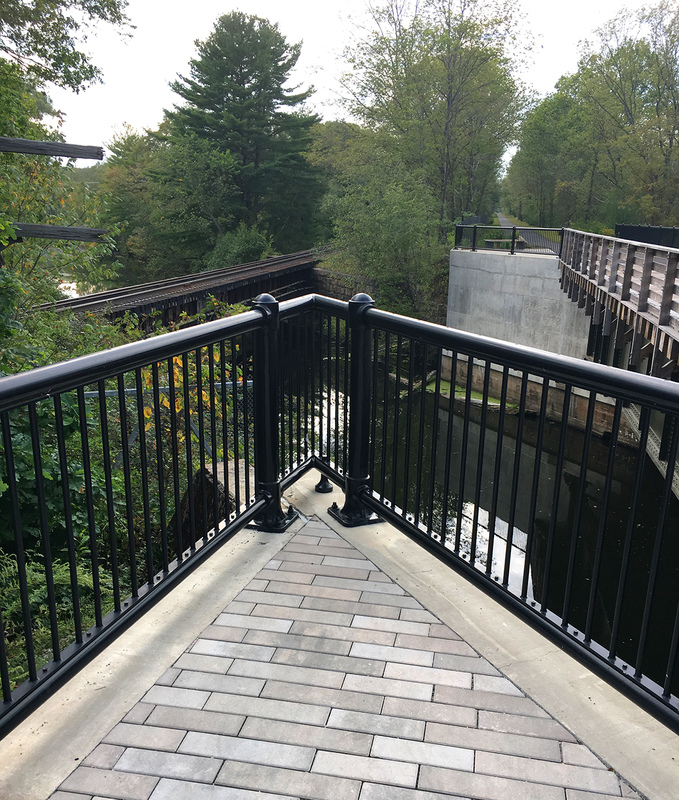 The Blackstone River Bikeway, is one such example. 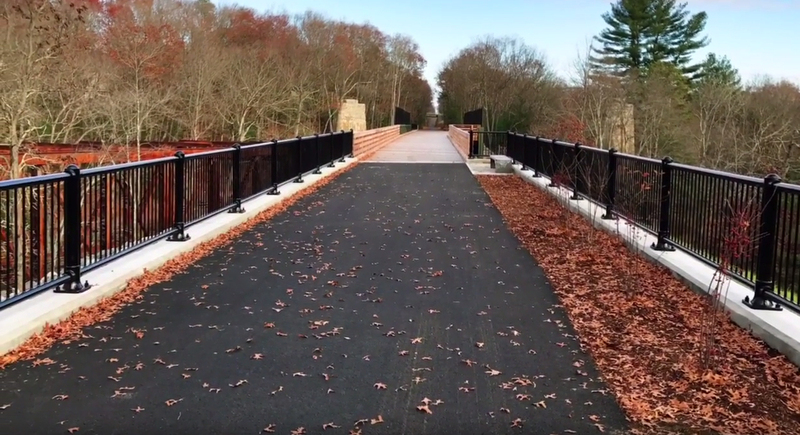 When completed, it will be a 48-mile rail trail stretching from Worcester, MA to Providence, RI through the Blackstone River Heritage Corridor. Approximately 20 miles of the trail are now open for public use. 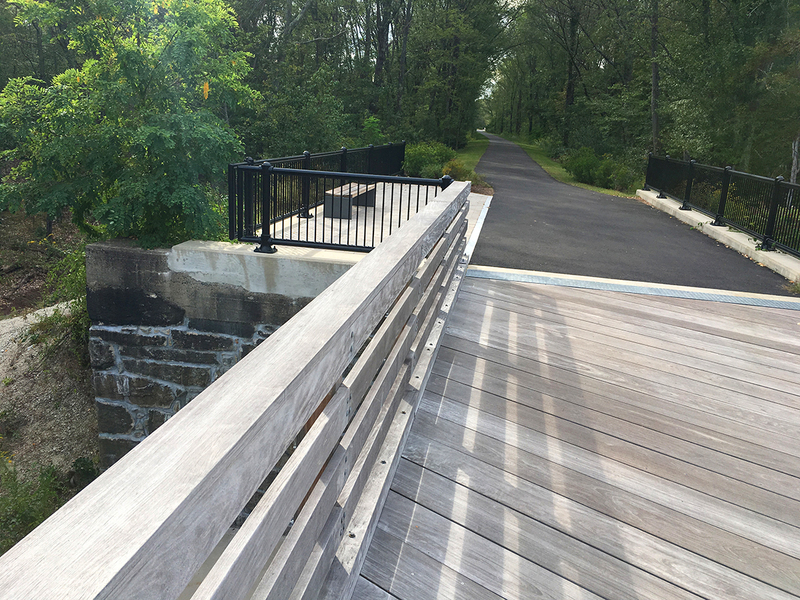 CRJA-IBI Group, as part of the VHB Team, recently completed Phase I of the Blackstone, MA to Millville, MA segment, an approximately 3.75-mile portion of the Trail. VHB, along with FST (now Stantec), designed the extensive repair and restoration of 8 bridges. The Blackstone River Heritage Corridor has national historic status as the birthplace of the American Industrial Revolution, marking the shift from Farm to Factory with the first water-powered mill in 1790 in Pawtucket, RI. Mill towns along the corridor, such as Millville, MA, are a reflection of that heritage. Transporting manufactured goods by horse-drawn cart along the corridor was quickly replaced by boat on the canal in the early 1800’s, then by rail in 1835. Due to this mode of inexpensive rapid transit, commerce in the region prospered. Today, however, it is the natural setting that dominates much of the corridor experience, especially in the Blackstone-Millville segment. 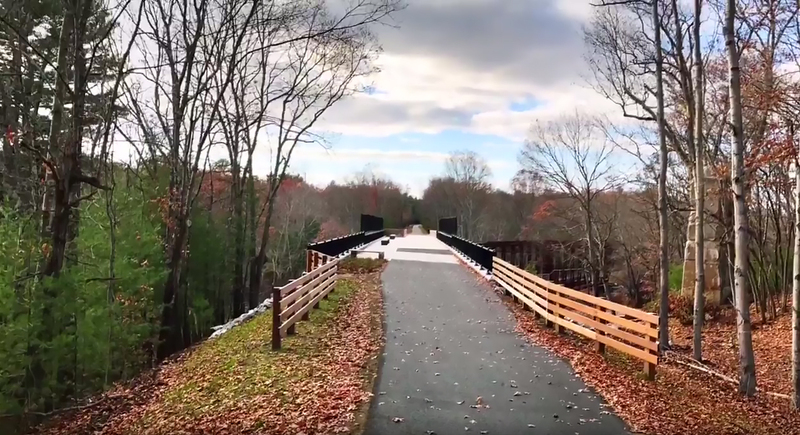 Elevated high up on the former railroad berm, pedestrians and cyclists enjoy moving through second-growth woodland, with views over open fields, small mill villages, and the winding and rushing Blackstone River itself. Details, such as the logo of an oncoming train on the trail’s granite entry posts, evoke the cultural history of the rail corridor, while native boulders engraved with flora and fauna, such as the Red-tailed Hawk, subtly inform users of the corridor’s ecology. 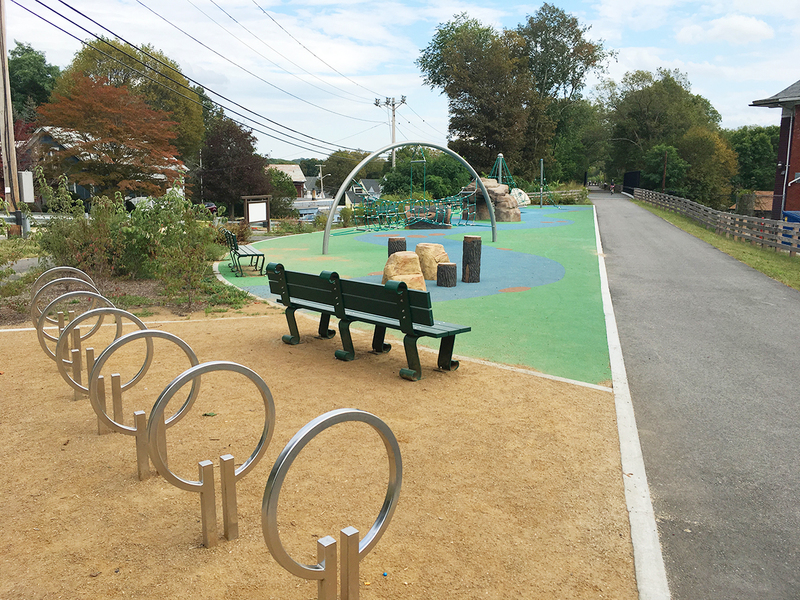 A map of the Blackstone River’s meandering profile courses through the resilient surface of a children’s playground, further reinforcing the sense of place. The Blackstone-Millville segment passes by the dramatic Blackstone Gorge, one of the last wild stretches of the river. It also includes the equally dramatic Triad Bridge, a late 19th c. three-tiered bridge accommodating the intersection of 3 rail corridors, the lower of which is still active, and the upper of which was never completed. The tall stone abutments to the upper unbuilt tier remain as sentinels in the landscape through which the Blackstone River Bikeway passes on the middle tier. A wide diagonal band of gray “Plankstone” marks the path of the upper tier as it would have crossed above the Bikeway. 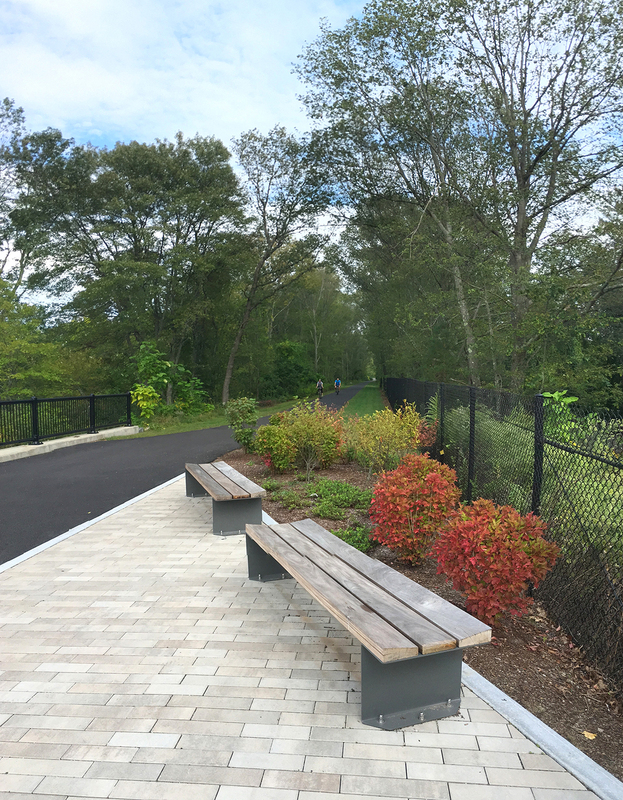 Gathering spaces with benches and planting occur at each end of the Triad Bridge to enable trail users to linger and enjoy the unique 19th century infrastructure, as well as the stunning views up and down the Blackstone River itself. 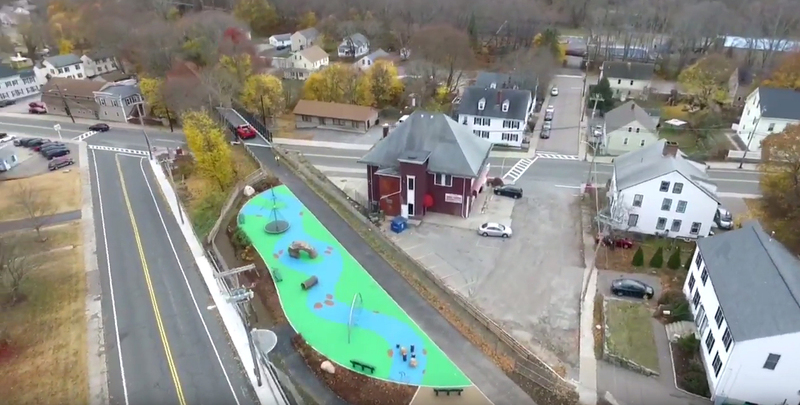 To experience the trail for yourself, watch the video below courtesy of VHB, that takes you on a journey through Phase 1 of the Blackstone River Bikeway. 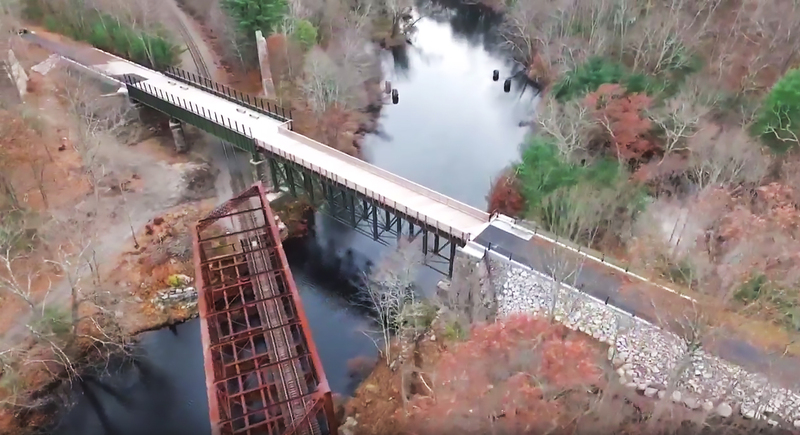 Phase II of the Blackstone-Millville segment, 0.4 miles, is currently underway, and will refurbish a pair of monumental granite railroad viaducts, one 3-arch and one 7-arch, that will restore another memorable example of historic railroad engineering for the benefit of generations to come. Screen captures from the Bike Path video courtesy of VHB.